With unique design, MAJIPesa provides a platform where customers and supplier are receiving depending on what they give. MAJIPesa is fully automated it can work 24hrs a day, assures continuation of service and gives no room for sales personnel to steal from bussiness owner. 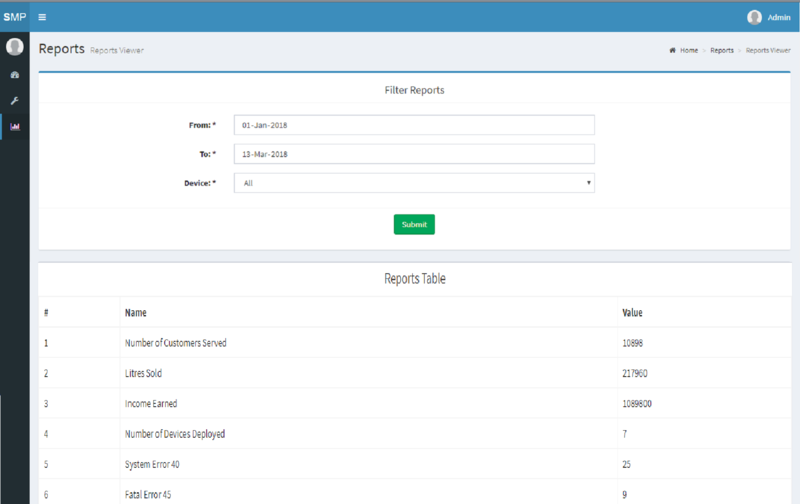 Powered by Strong Web Platform, The machine owner can monitor and filter periodic reports using any internet enabled Devices including phones, laptops and tablets. Even where internet is not available, system offers daily sales report to subscribed suppliers via sms. 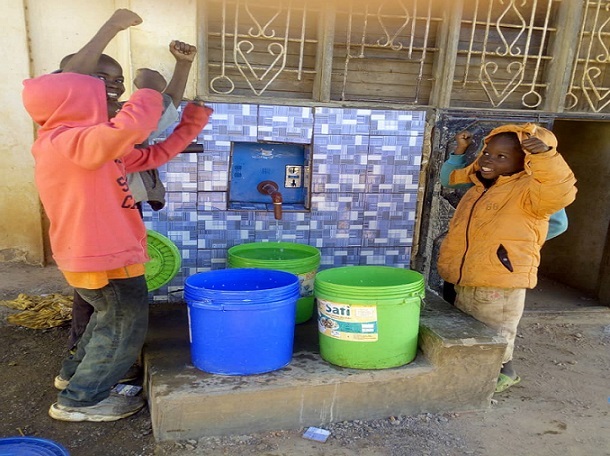 MAJIPesa gives the suppliers a chance of doing water supply business, tirelessly with the smile in face. 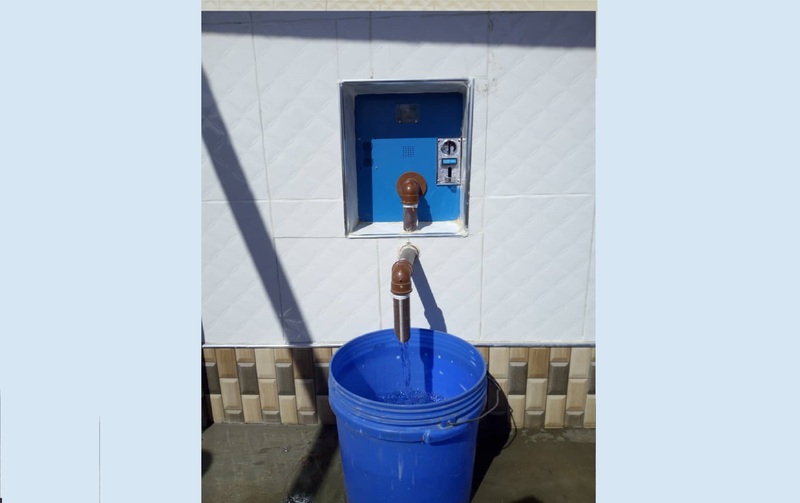 The machines are equiped with interactive display to show it's customers different notifications such as amount of water purchased or whether there is enough water in the tank. Machines are designed in a unique and stylish way to assure both customers and suppliers are enjoying the service while smiling. 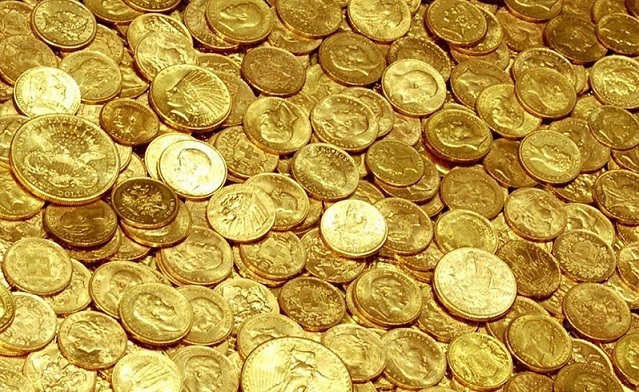 The machines offers the owner ability to choose types coins that are valid and respective amount of water to be supplied when particular type of coin is inserted. The machine are equiped with powerful application to help the business owners to know the progress and traits of their business when they're on the move. The machine are equiped with reliable solar supply, it doesn't depend on electricity that might be unpredictable. The machines are powered by latest computer technology that insures it operates 24 Hrs each day. The machines are designed in a way that everyone can use without any training. 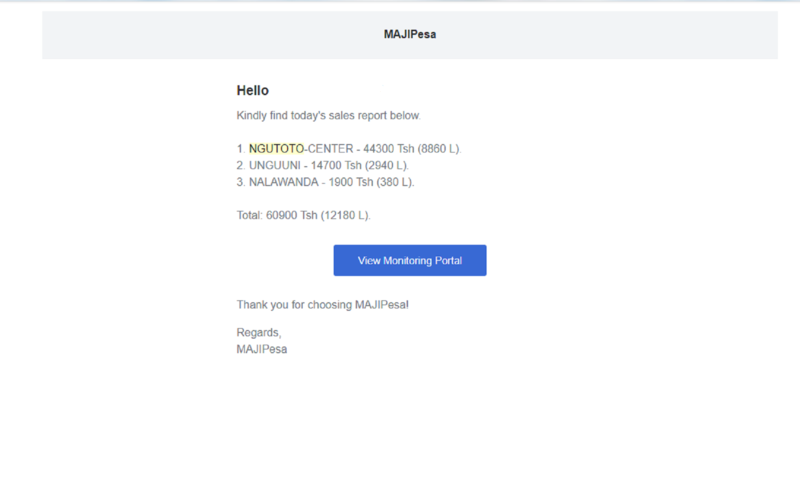 MAJIPesa is becoming a deal day to day with machines installed in various parts of Dar es salaam (Mbezi, Mbagala, Kigamboni, Kinondoni and more), Iringa (Makambako), Mbeya (Mbalali) and Dodoma (Kongwa). Be the first to bring new style to your place! © 2016 - 2019 MAJIPesa. All Rights Reserved.